Fashion One's Model Yoga host Yogi Troy McPeak is a registered teacher with the Yoga Alliance having completed 500 hours of training. Although he is based in the state of Colorado in the US, he teaches at various locations within the Boulder area and hostsinternational yoga retreats and teacher trainings around the world. He teaches adults and children throughout his travels around the world, including Costa Rica, Philippines, Norway, and Thailand. Yogi Troy loves to teach a variety of styles of yoga to every one of all lvels ranging from beginners to more advanced levels. He custom designs his classes around the yogis and yoginis who show up that day's class, ensuring everyone a unique and one of a kind experience. Their choice to improve themselves is rewarded by his balanced combination of postures with both quick and slower movements and allow the yoga practitioners in his classes the time and place to really be in 'their' yoga and to create the space for their yoga experience. 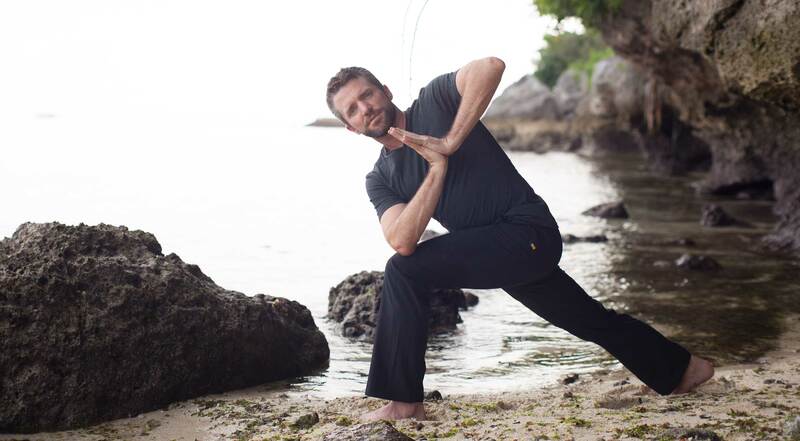 Yogi Troy is also certified in Tai Chi Chuan and likes to incorporate the slow and conscious movements into his yoga practice. Visit www.peakbeings.com for more informaton or email:: troy@peakbeings.com Hope to see you on your mat soon! Get an upclose look at our exclusive interview with Yogi Troy right here!